Chris has needed a 4×4 for some time now. Her work with horses means she has some pretty rough terrain to deal with, and she needs to be mobile in all weather. We ideally wanted a Land Rover, but they cost a lot for a good one (because they are the top dogs at what they do), so we were looking at various cheaper alternatives. You don’t need a fancy 4×4 – In fact the modern 4×4’s are not that great, as they try to do the thinking for you, and that is generally meaning that the owners rely on the car and not their own skill. I don’t give a rats arse how capable a car is, because it is only as capable AS THE DRIVER…. and last year Chris was driving her old Ford Fiesta around some pretty fancy 4×4 hardware that were stuck in the snow, with brainless drivers not knowing what to do…. (Much like I’ve seen in the past). 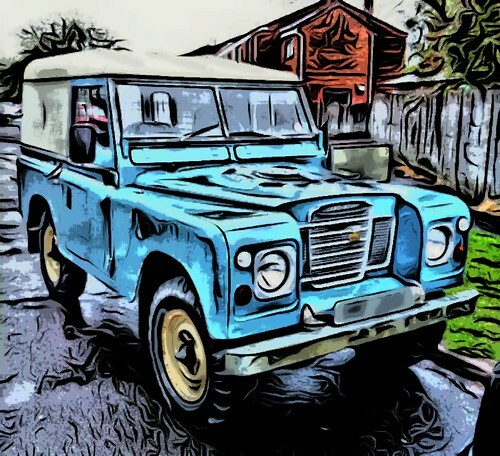 Mid last week Chris went to pick up some chicken feed from a farm shop and saw an old classic Landy sat outside. She took a look over it, pretty much to see what they are like (she’s not really had a lot to do with Landys). It didn’t have any sale signs on it, and Chris was purely looking out of interest. Whilst she was looking over it, the owner came over and explained that the vehicle had come with the farm when they took it over, when the previous owner couldn’t keep the farm going and had to sell up. 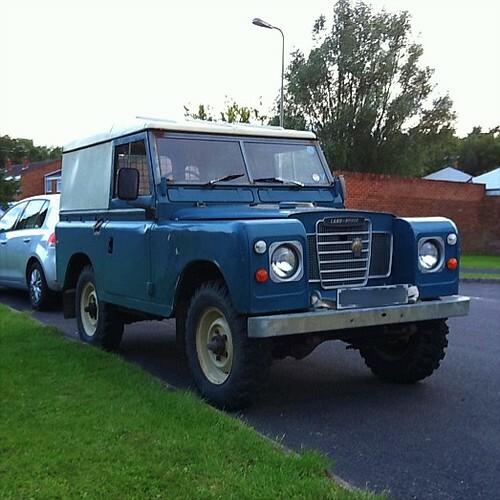 So he went to the farm with Chris… He said it was the second cleanest original Series Landy he had seen… The chassis is absolutely solid, the body work is in great shape (a few bumps, but it lived on a farm), good engine, interior dusty, with some torn seats (probably from a dog)…. but in general, incredibly clean, sorted and…… 4,300 genuine miles…. He was pretty excited at Chris’s find too…. Other people in the know have since seen Frank and they can’t believe how lucky we were! This is one of those ‘found in a barnyard’ stories you see sometimes on the news or internet…. but you never think you’ll be that lucky…. So, how much of a deal had Chris spotted? 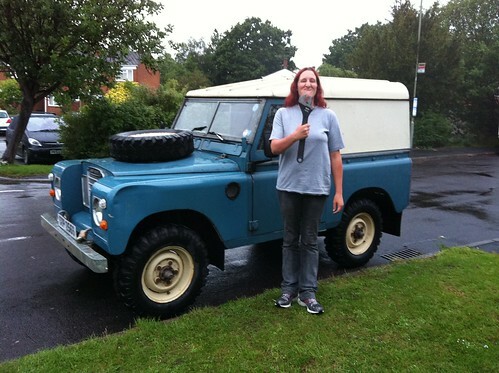 FRANK is an 88″ Series III 1977 Land Rover. 2.25l petrol engine. 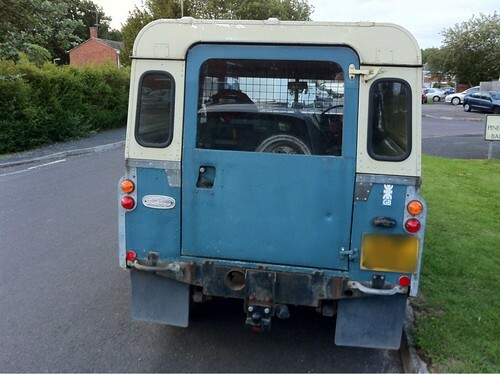 For £1,800 you can buy a similar aged Land Rover that’s good for spares, no tax or MOT… non-runner… (looked a total wreck). To buy one in similar condition to Frank, the nearest I found had 65,000 miles on the clock and was considered in ‘fair condition’… and was selling for £6,500….. Within 24 hours of buying Frank, we have already been offered over twice what we paid… but Frank isn’t for sale! Frank is the perfect vehicle for Chris – Just what we wanted. A simple old school 4×4 that she can use for work, that she can tinker with (she’s becoming pretty handy with the tools) , and that is hardy enough to deal with most situations. We never dreamt we could get a Series for this price (it was our ideal choice, but put way to the back of our minds)… and as such is in no way for sale! 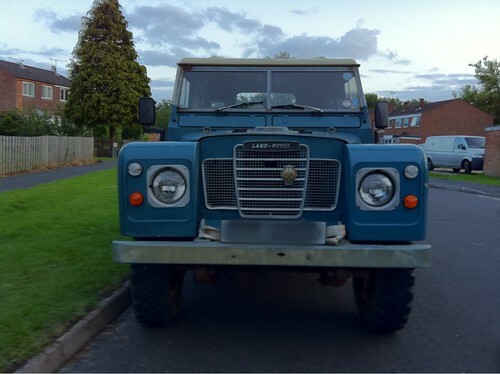 This entry was posted on Saturday, June 18th, 2011 at 11:08 pm	and tagged with 4x4, barnyard, car, cars, classic, land rover, series, series 3, series III and posted in cars, Family, FrankBlog, Land Rover. You can follow any responses to this entry through the RSS 2.0 feed.